Who doesn’t love free TV and Movies? I’ve reviewed many streaming services on Grounded Reason, and while I’ve mentioned it in a few articles, I’ve never really sung the praises of Crackle TV. With 100% free movies and TV shows, there is a lot to love about the service. And considering it’s been around for over a decade, I figured it’s about time I’ve given Crackle it’s due. Crackle TV is a completely free streaming service owned by Sony Pictures Entertainment Company. The service features movies, TV and original programming that rotate on a monthly basis. While there are ads, it’s hard to complain about the price tag of $0. I’m typically wary of free products, but Crackle TV is top notch. They have a great selection of movies and TV people would actually want to watch. They’ve most recently added a feature called “Always On”, allows you to search for shows while watching another movie or show. Originally called “Grouper”, Crackle TV has been around since the early 2000’s. 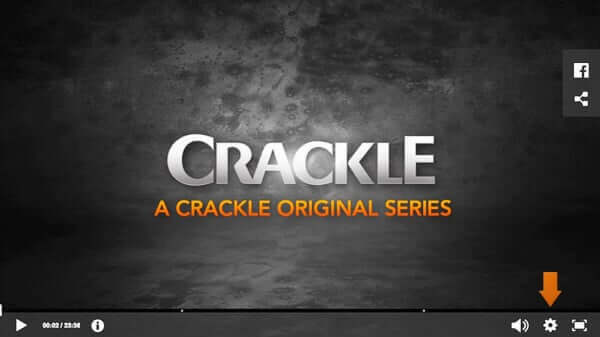 They were rebranded as Crackle TV soon after being purchased by Sony in 2006. Crackle’s Movie and TV library frequently feature films from Columbia Pictures, Screen Gems, TriStar Pictures, and Sony Pictures Classics. You will also find many TV shows distributed by Sony like Seinfeld. Feel like a movie instead? Well, what about “So I Married an Axe Murder”, “Flatliners”, or “Stranger Than Fiction”. The content on Crackle TV updates monthly, but there are always quality TV and movies available. Aside from a whole host of familiar Action, Comedy, Crime, Drama, Horror and Sci-fi Movies and TV, Crackle TV also offers quality original programming. Below is a brief synopsis of their best shows. Chosen – An action thriller starring Milo Ventimiglia from the hit series “Heroes.” Ventimiglia plays a lawyer and father Ian Mitchel who one day receives a mysterious box containing a gun. The box also contained a picture and instructions to kill the person in the picture. Mitchell is then thrust into a lethal game orchestrated by a shadowy organization known as “The Watchers.” Chosen was just renewed for a 4th season. You can also watch Crackle TV by downloading their app on your mobile device. Crackle TV supports a whole host of smart devices. The Crackle TV app runs on iPad, iPhone, and Android devices. To download the app check out all the numerous platforms that run Crackle TV. I typically don’t expect much from a free service, but Crackle TV is easily one of the better internet TV networks out there. I frequently check in to see what new TV and movies they have available. It’s nice a tool to have in any cord cutters arsenal.